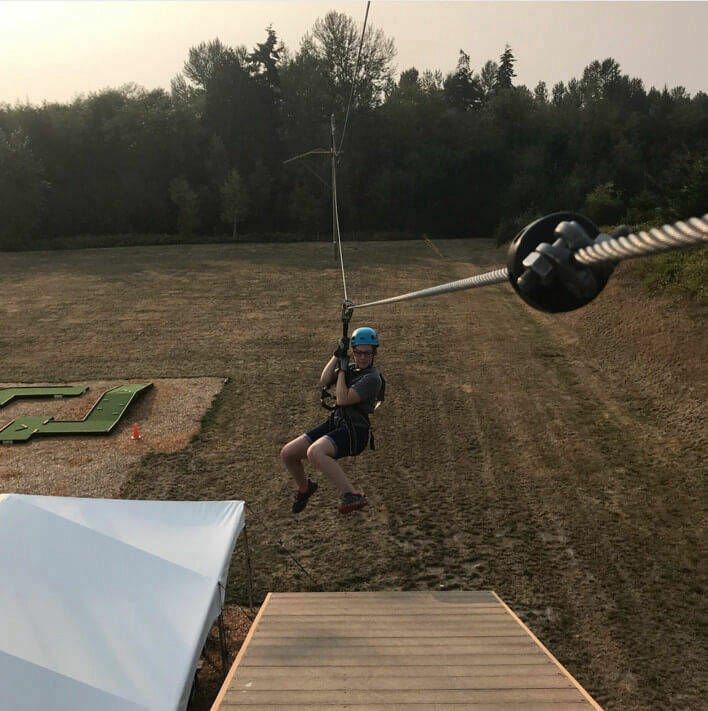 If you love to zipline or have never experienced the thrill of ziplining tour, High Trek Adventures is the best place in the Seattle area to go. 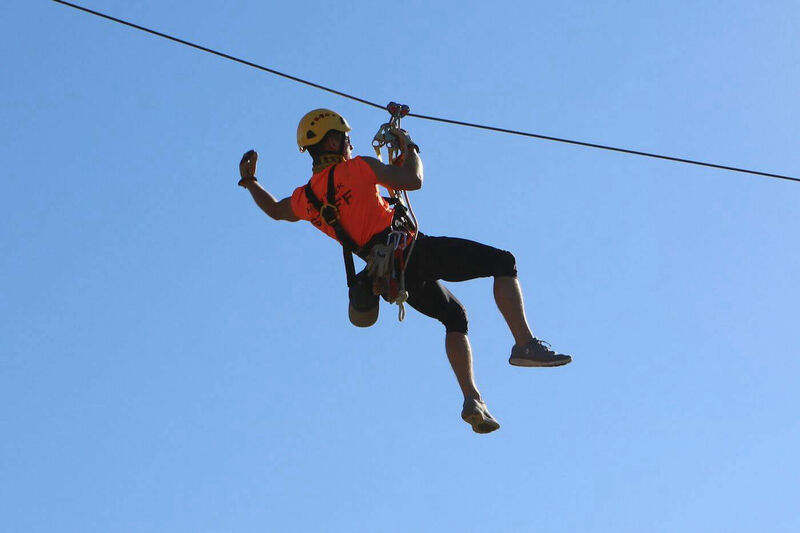 We have 3 state-of-the-art ziplines that span 560 feet or almost two football field lengths. 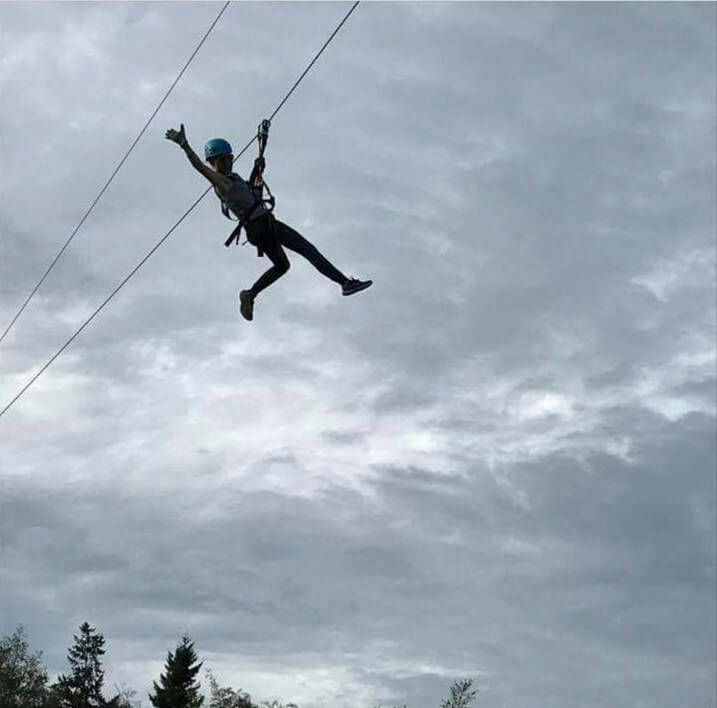 Before ziplinining, adults and children will receive "flight school" training on how to use their high-tech European carabiners and zip trolley. Our double lobster claw ropes course system is manufactured to be a continuouse belay experience on the ropes course and zipline tour so you are always connected until you are "keyed out" when you are back on the ground. 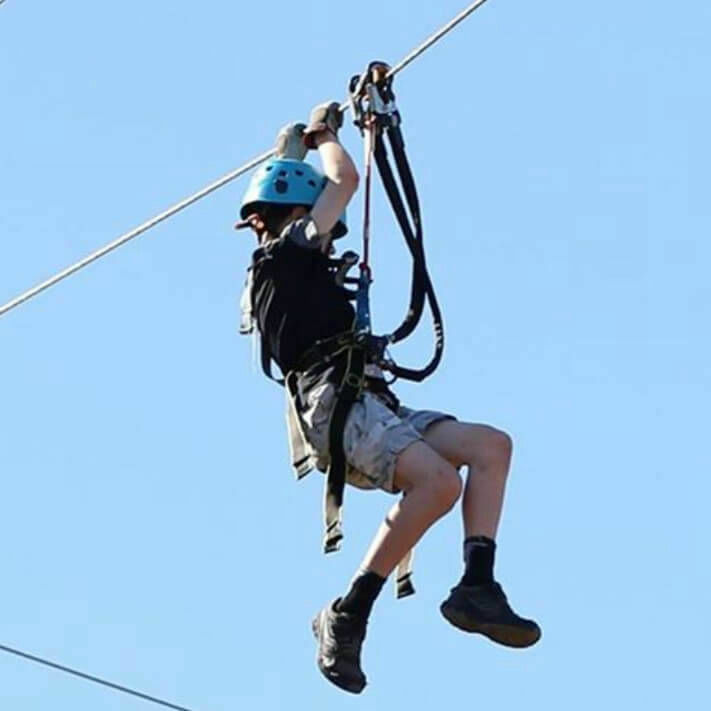 There is no other zipline tour experience near Seattle or in Washington State quite like High Trek Adventures. Our ropes course is self-led so you get to choose your own adventure and choose your challenge difficulty level based on color coding. Then, when you are ready, you can make your way to the ziplines where you will go on a ziplining tour around the park. 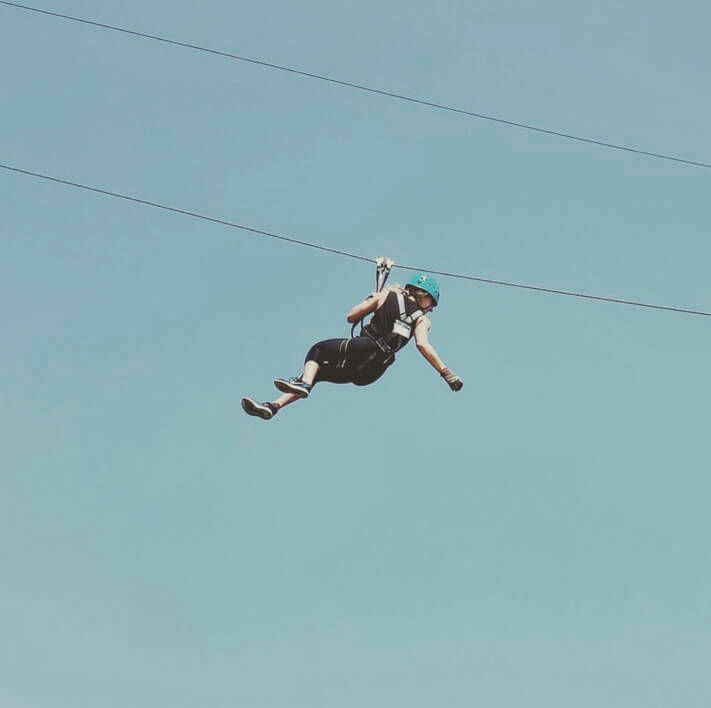 You don't need to wait for a guide or the rest of your group to get on the zipline and when you complete the zipline circuit you can climb back up and do it again if your time allows. There are know limits to the number of times you can go on the ziplines. Once you reach the third tower, you will connect to an auto-belay descender where you will enjoy the thrill of being lowered down to the ground in a rappel-like experience.